Overview The Telehook TH-VWV is a bracket set (2 brackets per set) for use with the Telehook Universal Video Wall Mount. It is compatible with a universal range of video panels thanks to its unlimited width VESA mounting hole pattern (200mm to 400mm high). A complete solution can be configured via the use of a combination of 100cm (TH-VWP-100) or 160cm (TH-VWP-160) wall plates and additional bracket sets as required. The Telehook Universal Video Wall Mounting System is an industry leading modular, interchangeable and upgradeable product range that supports a wide variety of video wall configurations; from a modest 2x2 configuration all the way up to 12x12 and beyond. The Telehook TH-VWV is a bracket set (2 brackets per set) for use with the Telehook Universal Video Wall Mount. It is compatible with a universal range of video panels thanks to its unlimited width VESA mounting hole pattern (200mm to 400mm high). A complete solution can be configured via the use of a combination of 100cm (TH-VWP-100) or 160cm (TH-VWP-160) wall plates and additional bracket sets as required. The Telehook Universal Video Wall Mounting System is an industry leading modular, interchangeable and upgradeable product range that supports a wide variety of video wall configurations; from a modest 2x2 configuration all the way up to 12x12 and beyond. 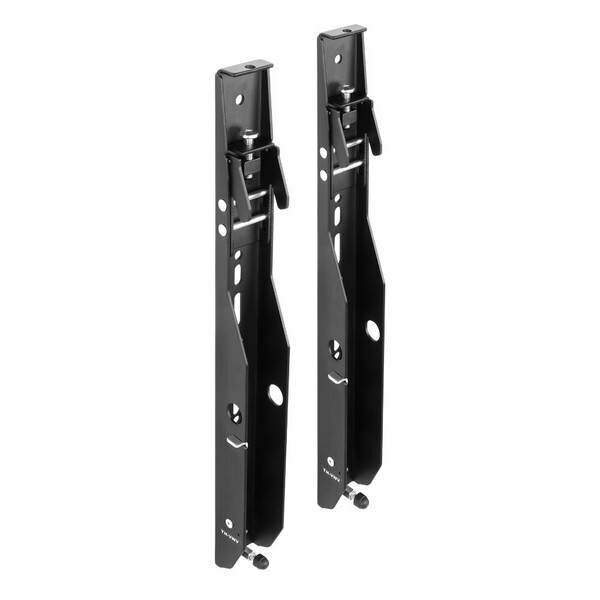 The Telehook TH-VWV is a bracket set (2 brackets per set) for use with the Telehook Universal Video Wall Mount. It is compatible with a universal range of video panels thanks to its unlimited width VESA mounting hole pattern (200mm to 400mm high). A complete solution can be configured via the use of a combination of 100cm (TH-VWP-100) or 160cm (TH-VWP-160) wall plates and additional bracket sets as required.